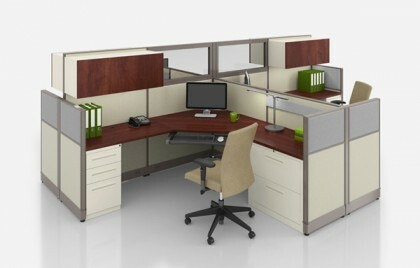 This product is a very flexible inventory and have great components to maximize a workplace. 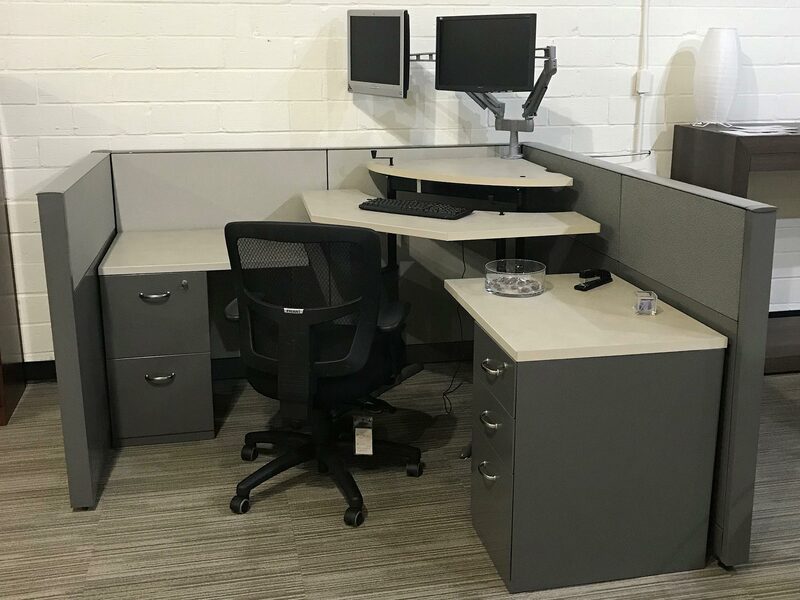 Each station has a sit stand corner unit to give your employees that ability to sit or stand as they work. 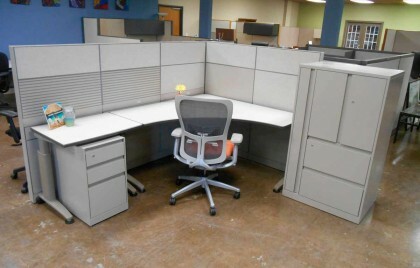 There are also glass accents in this inventory to dress up your office. 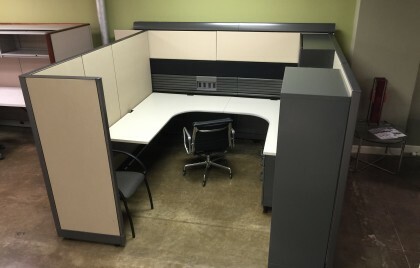 Each station has a 42” sit stand corner unit, (2) rectangular surfaces, BBF, FF, 2 duplex in each station. 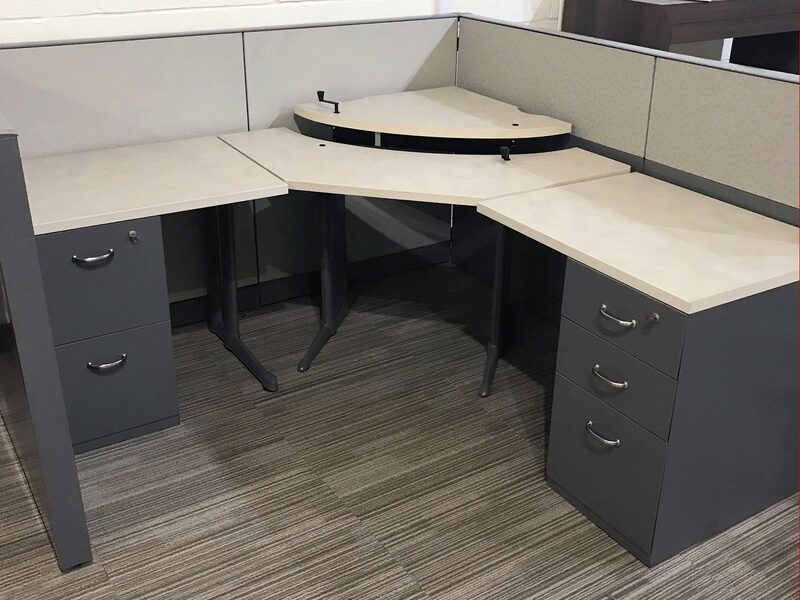 This product can also be stacked to 53” or 65” tall. 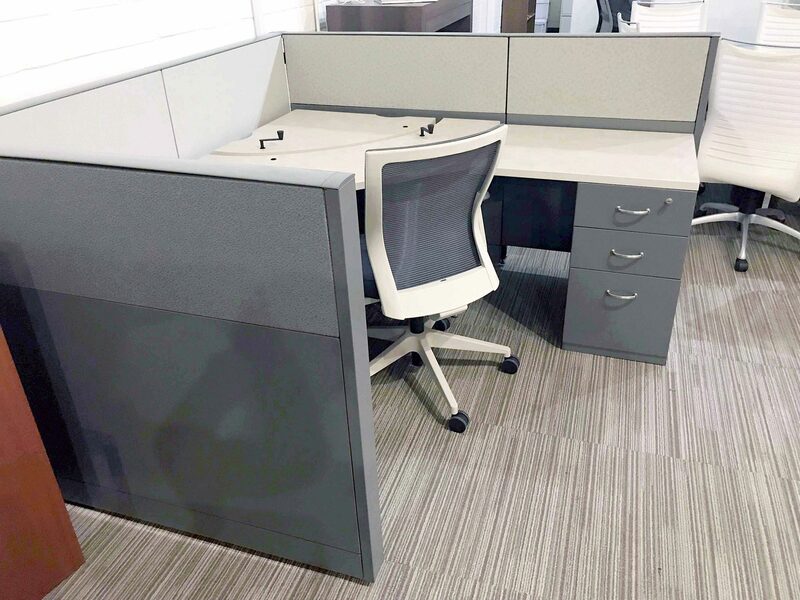 Call us to find out more details.